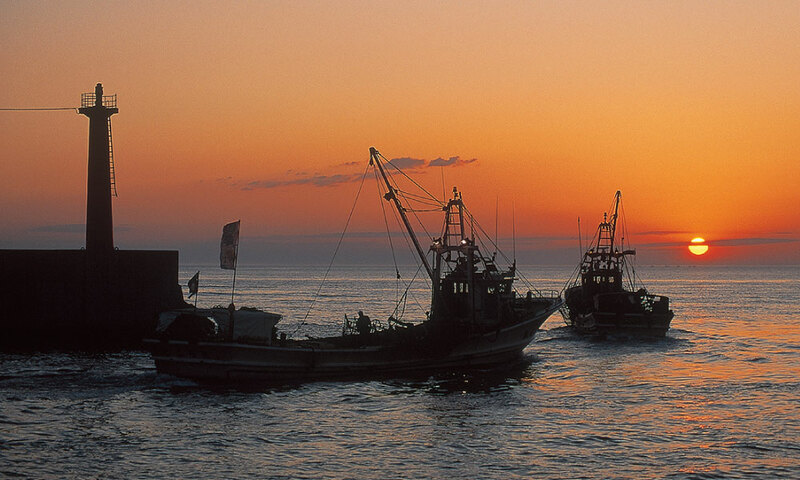 Located alongside Lake Saroma and the Sea of Okhotsk, Tokoro was Japan’s first scallop culture area, and more scallops are caught here than almost anywhere else. Tokoro locals are carrying on the legacy of ancestors who toiled tirelessly to create a fishing cycle that would lead to the enrichment of both the natural environment and mankind. Thanks to their hard work, Tokoro provides a steady supply of scallops whose high quality is recognized not only throughout Japan but worldwide. Today’s fishermen in Tokoro have the same goal. With help from their families, they are growing forests in the mountains and along rivers in the Okhotsk area, as well as nurturing the precious marine resources in the area to leave the environment in a good state for future generations. Tokoro’s reputation as a scallop kingdom comes from years of work by the Tokoro Fishermen’s Cooperative and Lake Saroma Marine Culture and Fishing Cooperative to nurture the area’s scallops. When the inlet between Lake Saroma and the Sea of Okhotsk was reclaimed in 1929, seawater flowed into Lake Saroma. 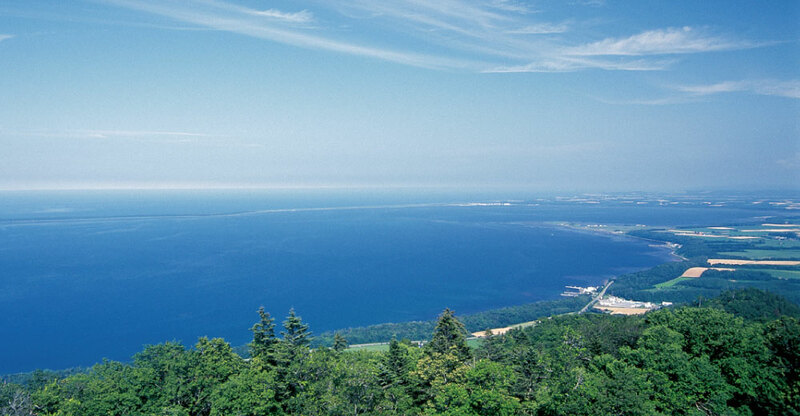 This increased the salinity of the lake, resulting in a rapid increase in the oyster population of the Sakaeura district of Tokoro. While seeking to solve this issue, a technician from the Hokkaido fisheries experimentation station noticed spats from scallops on the oysters. It was decided that scallops would be raised in an attempt to solve the issue, and the Tokoro Fishermen’s Cooperative was established for this purpose. Specialists and fishermen began working in 1933 to find a way to grow large scallops that could survive the cold winter. After a long time with a lot of trial and error, they eventually came up with a unique catch-and-release method for species control. After 40 years of work with this method, fishing catches finally stabilized in the 1970s. Scallop spats are grown for a year in Lake Saroma by a unique method (hanging scallop culture technology), then released into the Sea of Okhotsk. This produces two types of scallops: Sea of Okhotsk scallops that can be caught in large quantities, and Lake Saroma scallops grown in the still waters of the lake. The scallops grow in “marine fields” over a total of four years before being caught. This technology has spread throughout Hokkaido and Japan as a whole thanks to the work of the Tokoro Fishermen’s Cooperative. The fishing cooperatives of three towns along Lake Saroma – Tokoro, Saroma and Yubetsu – also formed the Saroma Marine Culture and Fishing Cooperative, which manages the precious resources of this fishing ground so that they can continue to be shared in future. 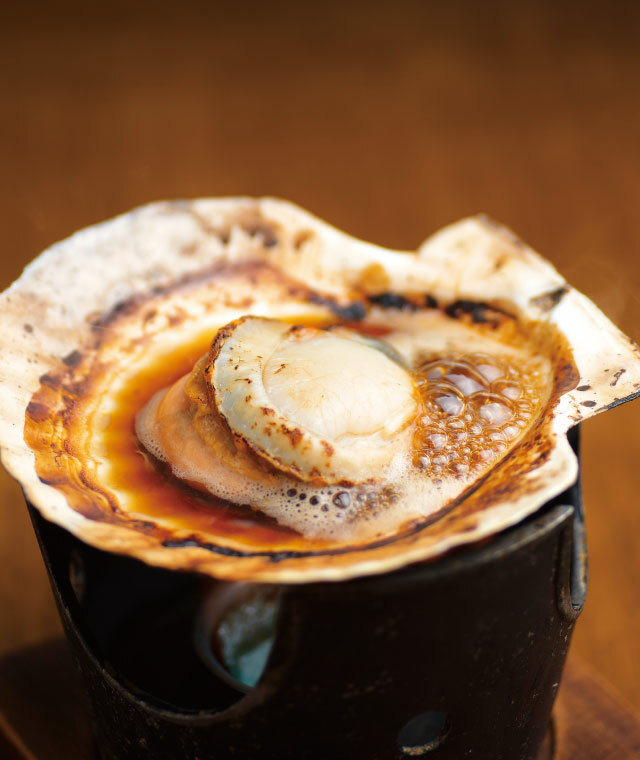 Scallops are just one type of great seafood caught in Tokoro. 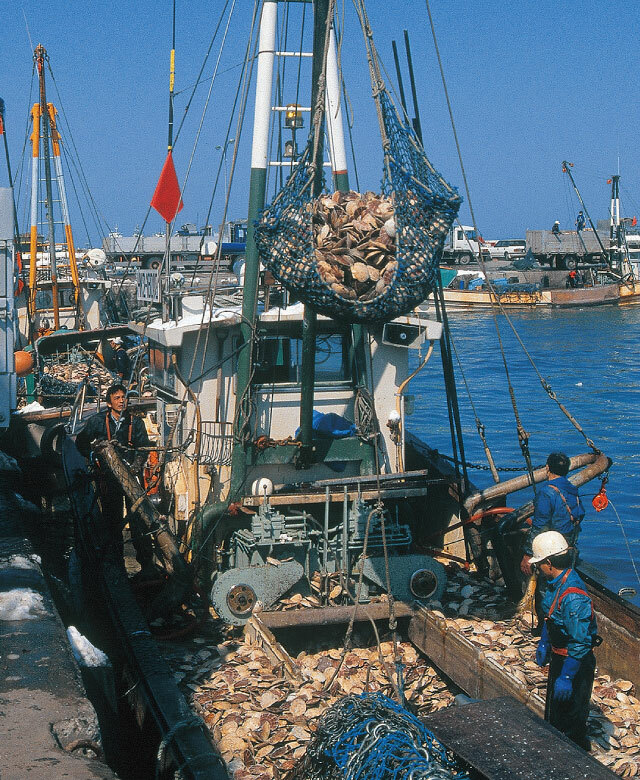 Salmon and horsehair crabs are also caught in the Sea of Okhotsk, and oysters and Hokkai shrimp are caught in Lake Saroma. 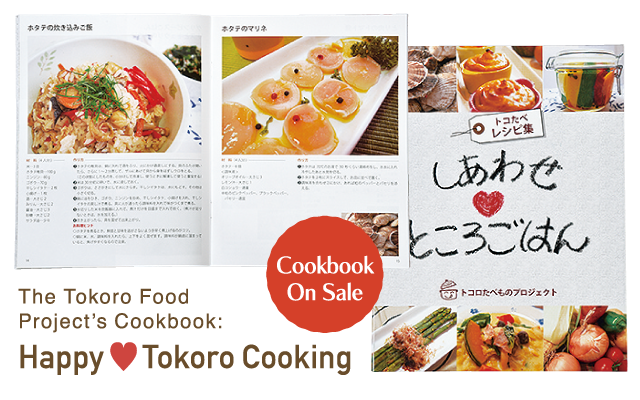 The best 50 of over 100 great recipes from the Tokoro area! During a forum for new wives who were new to the farm life, the farmers’ wives in the Tokoro area decided to learn more about farming and make even better food from the ingredients produced in their family farms. To set this plan in motion, they formed a female farmers’ group called the Tokoro Wives’ Network Sakura-chan. The group carries out activities to promote the benefits of local farming and consumption, centering on the theme of “farming, food and life”. 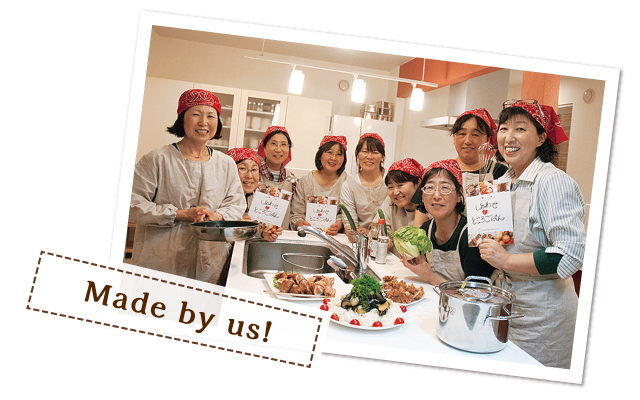 In 2012, Tokoro farmers’ and fishermen’s wives started the Mommy Wagon, serving hot meals to kids at the local Junior Curling Tournament for a one-coin donation. Their meals were a hit, and the wives then decided to make a cookbook to share their family recipes with kids and young mothers.